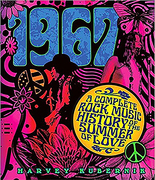 (PRLEAP.COM) One of music and pop-culture author, Harvey Kubernik's books has been named a historical document. Not surprising to Otherworld Cottage, but certainly gratifying. At Otherworld Cottage, we know how often his works are cited and reprinted in publications dealing with musicians, the music industry, and Hollywood. In October 2017, we helped Cave Hollywood with the cover and layout for its large format, color illustrated, 195-page book, "Inside Cave Hollywood, the Harvey Kubernik Music InnerViews and InterViews Collection VOL.1," containing a number of Harvey's articles and interviews with record company moguls, top agents, band managers, pop stars, band members, filmmakers, and photographers published during cavehollywood.com's first decade. On 28 September 2018, rocksbackpages.com, "the ultimate library of rock music writing and journalism," displayed a Harvey Kubernik 14 December 1974 "Melody Maker" review of Stevie Wonder's concert at the Inglewood Forum, and Kent Kotal's forgottenhits.com, in its "Sunday Comments Page" of 30 September 2018, displayed Harvey's 2015 cavehollywood.com interview with Marty Balin, founder of Jefferson Airplane, in tribute to the late singer/songwriter. And the November issue of the U.K.'s "Shindig!" magazine will also re-print Kubernik's interview with Balin as a commemorative piece saluting the legendary recording artist. 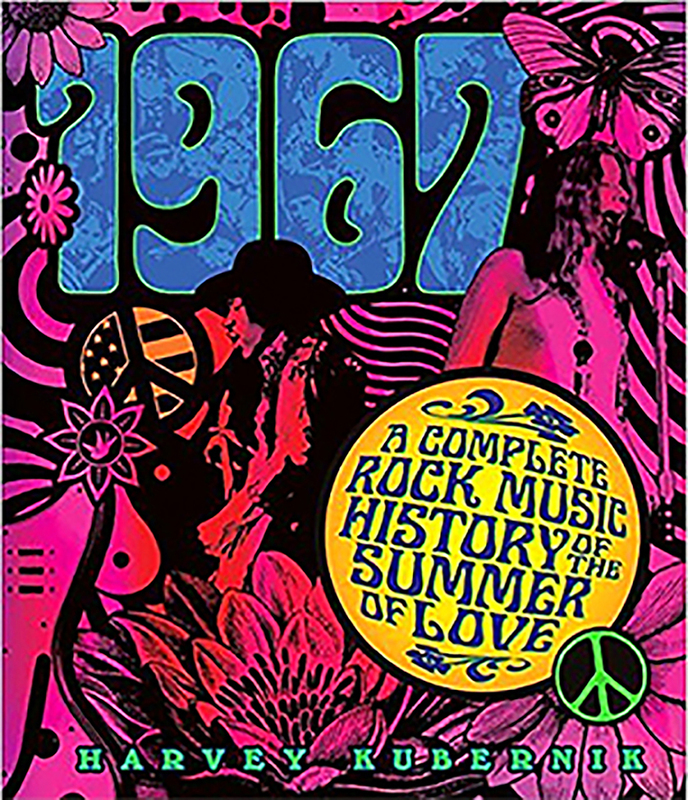 In 2014, Otherworld Cottage Industries published our first Harvey Kubernik book, "It Was Fifty Years Ago Today THE BEATLES Invade America and Hollywood," and we're now expecting an uptick in sales on the heels of Harvey's forthcoming 5,000-word multi-voice narrative story on the 50th anniversary of the Beatles' "White Album" that Apple Corps Ltd./Capitol/Ume will release November 9th. This year, Otherworld Cottage Industries published Kubernik's "The Doors Summer's Gone" to widespread critical acclaim. In "Shindig!" 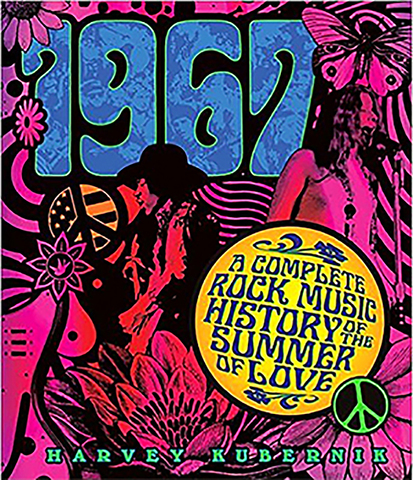 magazine's issue #80, Grahame Bent wrote in his four-star review, "To his eternal credit Kubernik's thoughtfully assembled episodic text doesn't focus excessively on already well explored aspects of The Doors' mythology, but rather attempts to build a fuller, more rounded picture of the band and their turbo-charged rise to the top…"
In mid-September, Otherworld Cottage Industries published "1964-1974: A Decade of Odd Tales and Wonders" written by our own Travis Edward Pike. Harvey wrote the Afterword to the book that he describes as "One of the most unique musical journey's I've ever read," revealing the impact today of Pike's early musical works. The September issue of "Record Collector News" magazine features Kubernik's articles on The Seeds and filmmaker Neil Norman and his music documentary "Pushin' Too Hard"; a Kubernik-penned retrospective cover story on Buffalo-Springfield; and a piece on Mike Garson and his new biography, "Bowie's Piano Man." November's issue of "Record Collector News" will have Harvey's cover story on the Kinks and the 50th anniversary celebration of their album, "Village Green Preservation Society." Harvey's profile of the "VGPS" album will include his two recently conducted interviews with Kinks' co-founders Ray and Dave Davies. The periodical will also print Harvey's story on the mid-October retail release of "YESSONGS" the DVD and Blu-Ray of the Yes 1972 concert at London's Rainbow Theatre. Kubernik also writes about the documentary "Horn From The Heart: The Paul Butterfield Story" in the magazine. "Ugly Things" magazine's November issue will feature Kubernik's article on the Rolling Stones and their landmark studio recording "Sympathy for the Devil," and upcoming DVD and Blu-Ray "Sympathy for the Devil (One Plus One)" to be released on October 5th. For more, be sure to check out Harvey's activities on Kubernik's Korner.